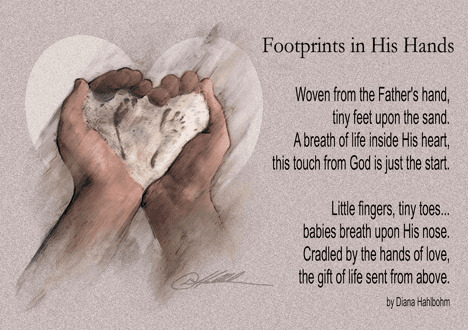 Footprints In His Hands is a beautiful and touching work of art by iconic artist Danny Hahlbohm. It would make wonderful baby shower gift and be treasured by the recipient for years to come. 5 sizes available - see drop down box for pricing.